Southampton-based duo Lucas & King recently crowned winners of FENDER’S UNDISCOVERED ARTIST OF THE YEAR award, are excited to announce the release of their eponymous debut album on November 23rd, with London album launch taking place at Camden’s Green Note on November 26th 2018. With influences including Peggy Lee, Eddie Cochran, Buddy Holly, The Kinks and Dolly Parton, the album features beautifully complex lyrics, sung by the sultry stand-out vocals of lead singer Bo Lucas, made all the brighter by Hayleigh King’s sympathetic and tasteful guitar accompaniment which in turn creates the cinematic backdrop of their sound. The album features elements of sixties pop, surf, garage and blues that take you from the empty and confined opener of Brunswick Place, through to the realities of love and life in Maybe I Do, to an existential crisis in Shop Girl, finishing on the dark noir obsessive Nothing On You. The duo have managed to create a timeless, but also fresh sound that is entirely their own. 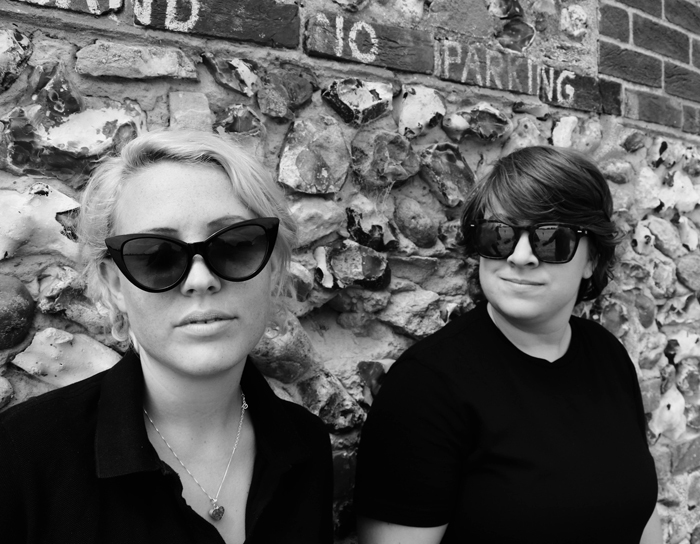 Upon meeting in Brighton at university, Bo Lucas (lead vocals and acoustic guitar) and Hayleigh King (electric guitar and backing-vocals) quickly cemented a musical connection, writing their first song ‘Crazy Heart’ within 15 minutes of first playing together. Their DIY approach to music saw them playing at open mic’s and local shows, resulting with the opportunity to tour with and open for Ray Davies – 50th anniversary tour, back in 2014. At short notice they burnt CDs on laptops, with handmade brown paper & cardboard sleeves stuck together, hand stamped with “Lucas & King” and handwritten track listings ready for the tour. In just a few years Lucas & King have stacked up many accolades and awards; the duo were finalists in Glastonbury Emerging Talent 2017 which saw them perform on Rabbit Hole, Avalon and Acoustic stage. Then in July of this year they were crowned winners of the prestigious Fender Undiscovered Artist award, hand picked by a panel of judges from over 2000 contestants; prize including a trip to LA, with gigs at the Fender factory in Corona California. Get ready to love Lucas & King.